In October of 2012, Governor Cuomo’s task force proposed the Energy Highway Blueprint, which includes the goal of increasing transmission capacity from upstate to downstate by a thousand megawatts. In part, this would be necessary to replace power from the two remaining operating nuclear reactors at the Indian Point Energy Center, should they be shut down. 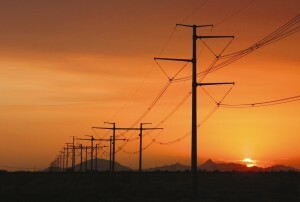 At the end of November 2012, the Public Service Commission requested proposals from developers and transmission owners. By the deadline at the end of January 2013, six companies had submitted Statements of Intent, which included sixteen projects with some duplication. The PSC found worthy projects from four: North America Transmission (NAT), New York Transco, NextEra Energy Transmission, and Boundless Energy NE. The November request identified congested AC transmission corridors west to east in the Mohawk Valley (Porter to Rotterdam, Marcy to New Scotland, and Edic to New Scotland) and north to south in the Hudson Valley (New Scotland to Leeds to Pleasant Valley). In addition, for northwest to southeast transmission along the Catskill route, NAT proposed a second 345 kV line adjacent to the existing Marcy South line. Their Statement of Intent is notable at being detailed, with as many pages as the other five combined. This company is a wholly owned subsidiary of LS Power, an employee-owned power company founded in 1990 and based in St. Lewis, Missouri. By June, when the PSC sent a letter to local governments, this Catskill corridor had been added to the projects map. The deadline for developers to submit application materials, scoping documents, and proposed schedule was October 1st. A week or two before, NAT published a public notice of this Catskill project in local daily and weekly newspapers. The EF2 project would run overhead 345 kV transmission lines 78 miles from Utica to Delhi between substations in Edic, Oneida County and Fraser, Delaware County. This would require second easements on the eastern side of the existing easements, an additional 160 feet of width. Most of the support towers would be pre-stresses spun concrete monopoles, typically 130 feet high. Options would allow double circuiting to double capacity. At this time, this is only one of many proposals before the PSC, but NAT’s is the only one for this Catskill corridor. Documents for the Edic to Fraser project are filed on the commission website dps.ny.gov under case 13-T-0454. In a second addition to the program, for west to east transmission along a Southern Tier route, Transco’s Statement of Interest proposed an overhead 345 kV line adjacent to existing Oakdale to Fraser route. This company is a partnership of eight New York utilities. In their October application for the same route, Nextera Energy Transmission New York, Inc. detailed a fifty-seven mile route from Binghamton to Delhi between substations in Oakdale, Broome County and Fraser, Delaware County. It would be built almost entirely within the existing right-of-way, although locally, there may be required as much as an additional 100 foot easements on the south side of existing easements. Also additional construction easements will be necessary. Like EF2, concrete monopoles would be used, but here shorter at 95 feet high. NETNY is a wholly-owned subsidiary of NextEra Energy, Inc. of Juno, Beach Florida, which was renamed from Florida Power and Light, founded in 1925. Documents for the Oakdale/Fraser project are filed by NETNY on the commission website under case 13-T-0456. While Transco was assigned a case number (13-T-0457), they have filed no documents on a Oakdale-Fraser project. It is not clear that this project will be approved. In its April evaluation of Statement of Intent, the PSC concluded that “the West-East Southern Tier transmission corridor upgrades are not likely to produce the increases in transfer capacity sought.” On the other hand, NETNY judged it worth submitting their application six months later. These two projects have in common that they end at the Fraser substation, which is two miles northwest of State Highway 10. Each company claims that upgrades would fit in the existing substation, but neither discusses the consequences if both upgrades were approved. If EF2 is approved, procurement of easements could begin in 2015, by eminent domain if necessary. Construction is planned to begin in the summer of 2016 and transmission in late 2017. In addition to the poles and lines, there would be upgrades to both substations and construction of a new facility for series compensation somewhere along the line. Costs are estimated at $270 million. NAT estimates that annual property taxes would include $150,000 to Franklin Central School, $190,000 to Town of Franklin, and $250,000 to Delaware County. But this is calculated only on the value of the permanent installations. On the value of the electricity through these lines (or of the gas through the Constitution pipeline), Franklin will receive not a cent. If OF2 is approved, procurement of easements could begin in 2016, by eminent domain if necessary. Construction is planned to begin in the summer of 2017 and transmission in summer of 2018. In addition to the poles and lines, there would be upgrades to both substations. Neither costs or property taxes were estimated. Energy infrastructure projects in a town are like the fable of the camel and the tent. The first project is like the camel talking its way into being allowed to stick his nose in the tent. Once that precedent is set, each additional encroachment is easier to get in, and you can never be sure how much you will eventually lose. In the end, the camel comes to occupy the whole, and you have been pushed outside of your own tent.